With those winter holidays right around the corner, now is usually the time we begin contemplating that holiday diet. For many, the days after Thanksgiving are usually filled with thoughts of diet and exercise. Perhaps it was the second helping of the delicious sweet-potato casserole your cousin always brings that spurred these thoughts. Whatever that motivating factor is, staying motivated through the thick and thin of a diet is not easy. But thanks to SculpSure®, help is here! You might be asking, “What is SculpSure®, and how can it help?” SculpSure® is a recent FDA-approved treatment for the non-surgical, permanent reduction of fat cells using innovative laser technology. In just a few 25 minute treatments, SculpSure® can liquefy fat cells in those hard-to-burn fat deposits forever, giving that diet the extra boost you need to feel motivated to the finish! SculpSure® is generally very well-tolerated, and some people prefer the warm feeling of SculpSure over the cold sensation of “coolsculpting.” Clinical studies have shown that SculpSure can destroy up to 24% of targeted fat deposits in 25 minute treatments, compared to the hour-long cool sculpting treatments. Looking to slim down for your winter beach vacation? Those embarking on holiday diets are the perfect candidates for SculpSure, and can see maximum results from our laser body sculpting treatments. It takes just a few treatments before results are noticeable. 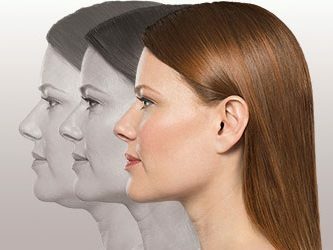 For before and after photos of real patients, be sure to read through our SculpSure treatment page for more information. When you are ready, RVC Medical is here to help you achieve your personal dieting and fat reduction goals. Give us a call today at 425-445-5557 to schedule your complimentary consultation and get started on the new you!